« How to Awaken Your Lazy Mind? After attending Gateways of The Mind 2013, a large international conference on lucid dreaming I began pondering some questions. I noticed that the event seemed to expound mostly on personal beliefs and not science so I’ve started asking whether we should accept ideas without evidence? Should we just go along with the popular beliefs just because everyone else seems to believe them? I don’t want to sound narrow minded because I truly am interested in how lucid dreaming is used traditionally in other cultures. I do have an open mind about possible discoveries that may be found in the deepest parts of the human mind. However I do think that a certain amount of skepticism is in order and I try to keep a realistic perspective knowing that these ideas were born in very different historical cultures very different than our own. Living in a modern western country we might want to tone down our impulse to project an “air of superiority” in the area of mystical beliefs originating in eastern cultures. My opinion is that this diminishes the true beauty and complexity of these other very unique cultures and often misrepresents them in a way that one might define as positive discrimination. In some cases people use a “mix-and-match” approach in forming their spiritual beliefs so they can ignore some of the less appealing aspects of that particular culture or religion. This naturally annoys the native practitioners. Another factor to consider is that just because a belief is “ancient” doesn’t make it valid. Throughout the weekend I encountered all kinds of bizarre beliefs that seemed to have no basis in fact. I remember one presenter announcing that all of us can lucid dream using various bodily organs such as our lungs and spleen. Where did he come up with that? While playing on his “singing bowl” he implored everyone in the audience to chant “Ommmmmmmm”. The whole experience left me baffled. I wouldn’t have minded if he’d started out saying that what he was presenting was based on his own personal beliefs and pure speculation. There is nothing wrong with pursuing one’s personal spiritual and philosophical theories using lucid dreaming. And many of the speakers, not just this one, presented their beliefs without revealing that they were not based on science or fact, and instead were their personal opinions and theories. If I recall correctly, every single presenter admitted to having distaste for science. But what was really surprising is that the audience displayed a total lack of objectivity and critical thinking. There was no probing questions just abject conformity to the prevailing “wisdom” of the group. There seemed to be no check on reality by any of the dream enthusiasts throughout the weekend. My thinking on lucid dreaming is purely personal. I believe that we each walk our own individual journey alone. I prefer to delve into things in an investigatory manner, thinking critically of what my experience of reality is. It may not be true science but I try to be aware of my perceptions as I explore my dreams as they are, not how I wish they would be. In my opinion personal beliefs and magical thinking really do not belong in the discussion when we attempt to explore the mind. Of course we can have our opinions and beliefs about lucid dreaming but those should not be used as a platform or tool to promote our religion or spiritual beliefs. So I’m not one to easily conform to the crowd and instead find comfort in asking the difficult questions. I try to cut through it all in an attempt to get to the truth about things. I also don’t shy away from asking myself the hard questions and often ponder my own motivations and beliefs. The practice of lucid dreaming even demands that we don’t conform. When dreaming if we were to follow the herd we wouldn’t ever ask “Is this a dream?” and if we did ask that in a dream we wouldn’t rely on everyone else in the dream for an answer. That would be ridiculous and never allow us to become aware of our situation. There would never be any lucidity in that. In order to become lucid while dreaming, we have got to break out and act independently as individuals. We have to ask “Am I dreaming?” and come to our own conclusions using the available evidence without asking others for the answer. In our waking lives we should also follow this principle of asking questions and seeking the truth in an attempt to live in the world of reality. I don’t understand people who blindly accept the ideas and beliefs of others rather than trying to find out for themselves what’s real and what’s fantasy or magical thinking. It’s healthy to question ideas and beliefs. In fact it’s the only way of discovering the truth about things. For those practicing lucid dreaming I can only urge skepticism. Every superstition and irrational thought you encounter should be challenged. I wouldn’t take it too far by becoming pompous and all-knowing because we’re all continually learning. What might be more productive is to start thinking more critically about your own beliefs and ideas, rather than those of others. Try to stay in reality and avoid the world of fantasy by always being open to reevaluating your own ideas and beliefs. If you find yourself succumbing to something new and appealing, beware as these often prove destructive. Do not suspend your critical thinking just to maintain a comfortable illusion. Do not forget that “lucid” means having awareness, knowledge, clarity and truth. We must always be ready to turn away from conformity if we want to truly be lucid and clear in both our dreaming and waking lives. We must also accept that we may never have all the answers, especially to questions like “What will happen after I die?” or “Why am I here?” This is perfectly fine, to admit that we do not know instead of making up popular but fictional answers. If we’re able to accept that we have just a small place in the universe and we are limited in our capabilities for knowledge and understanding, then we can embark on a journey to discover what truths are actually knowable to us. I do want to thank the organizers of Gateways of The Mind as it’s evident that a lot of thought, time and energy went into the effort, making it a pleasant and very nice weekend event. It got me thinking about a lot of things and for that I am thankful. But I do not think their choice of content was the best it could have been. Lucid dreaming involves a lot more complex, beautiful and empowering than what was offered in terms of unsubstantiated eastern philosophies and mysticism. The human mind is so complex and truly a remarkable marvel of nature. Our universe is vast and awe inspiring even without all the made up stories and mysticism. As much as I would have liked to enjoy myself and agree with all the presenters, I just can’t. Lucid dreaming goes far beyond all of this. It deserves more. 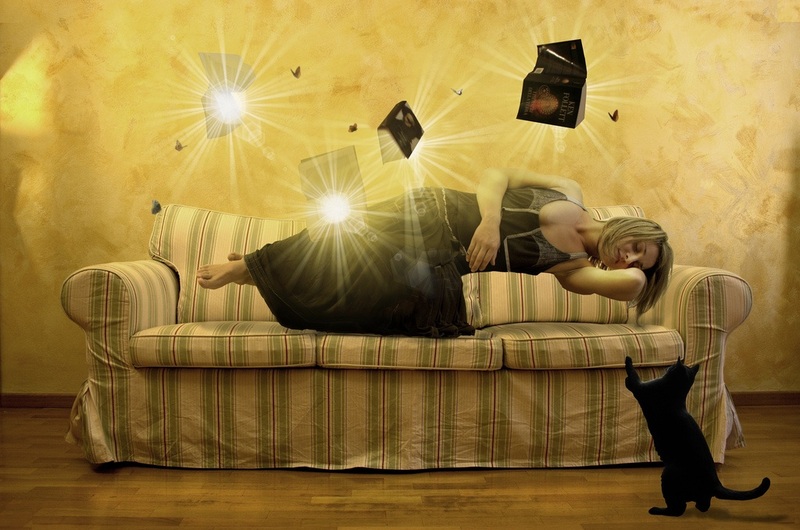 Tagged lucid dreaming, truth about lucid dreaming. Bookmark the permalink.